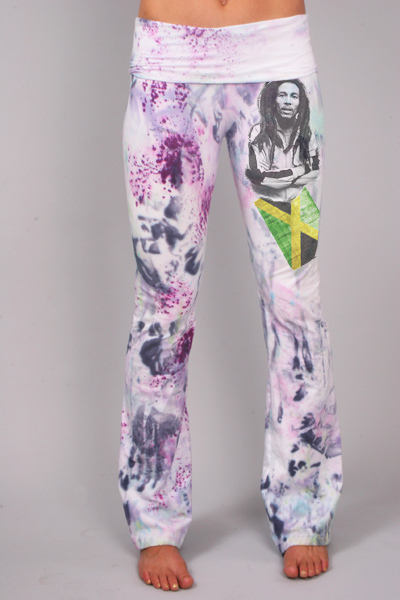 Limited run one of a kind yoga bottoms made of an organic cotton/spandex blend embellished with original Jamaica flag and music Icon art pieces. Remember, you can always create your very own from scratch. We make the process super simple and quick! 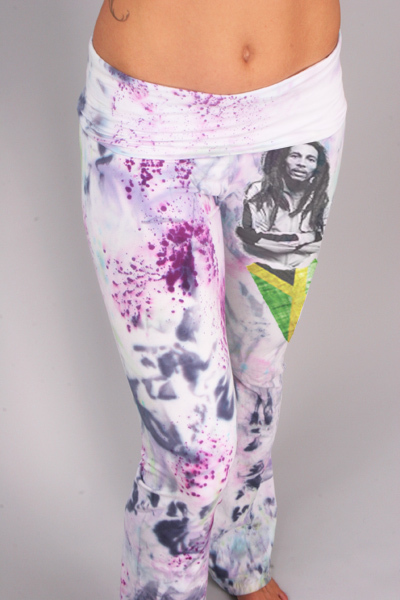 I love my Bob Marley Pants! They were definitely worth the wait. The art is beautiful, and the pants feel great! Hellooo !!! Tristan estoy muy feliz de recibir tus hermosas obras estan increibles y me quedaron perfectamente, la calidad y los diseños son un gran trabajo felicidades y te reitero mi agradecimiento y hasta pronto. Alicia Gonzalez Ledesma. P.D. thank you!!! por el regalo me encanto. 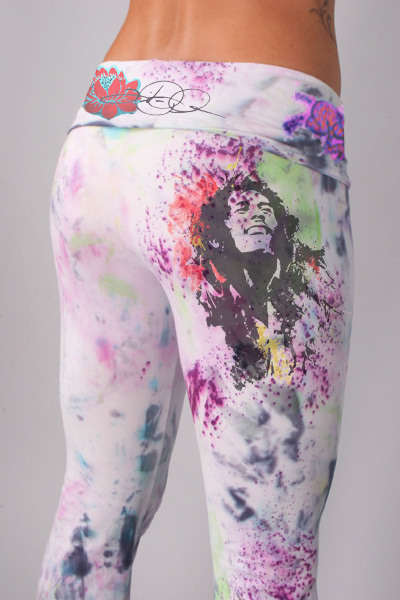 These pants are fantastic, the bob marley splattered on the back cheek is outstanding. Couldn't be happier!!! Love the unique feel without feeling like I totally bought into the overdone rasta theme.